I love vintage suitcases! I especially love all of the decoupage and repurposed vintage suitcase ideas I have seen while strolling through the web. I was eager to restyle a suitcase of my own, but hard case luggage proved to be a challenging find. Over the last two years, I searched for suitable suitcases in every thrift store, yard sale, and managed to stumble across only one along the way. 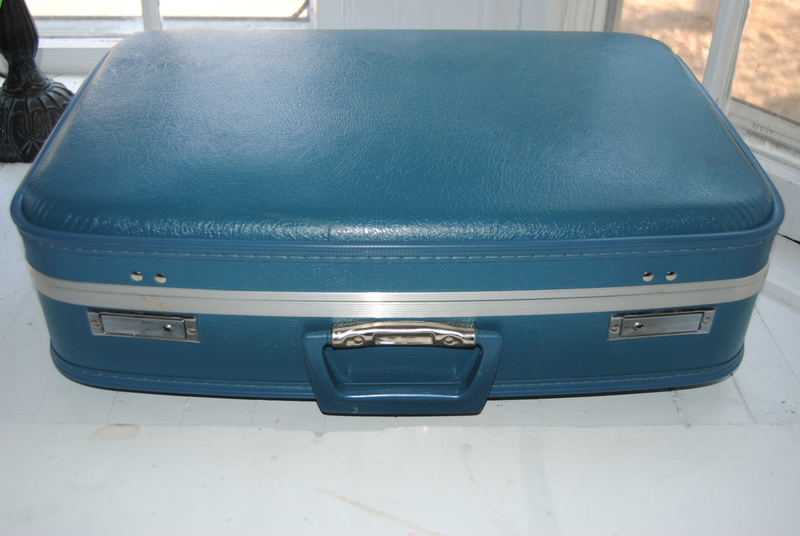 You can imagine my surprise recently, when I came across not one, but three vintage blue suitcases in the same shopping trip. The small case was inside the medium case, and the large case was empty. The set was not priced. I asked for a price check and expected an individual price on each piece of luggage. Instead, Goodwill decided to price the small and medium cases together for only $3.99! I checked with them twice, because I could not believe it! The larger case (pictured below) was priced at a reasonable $7.99. 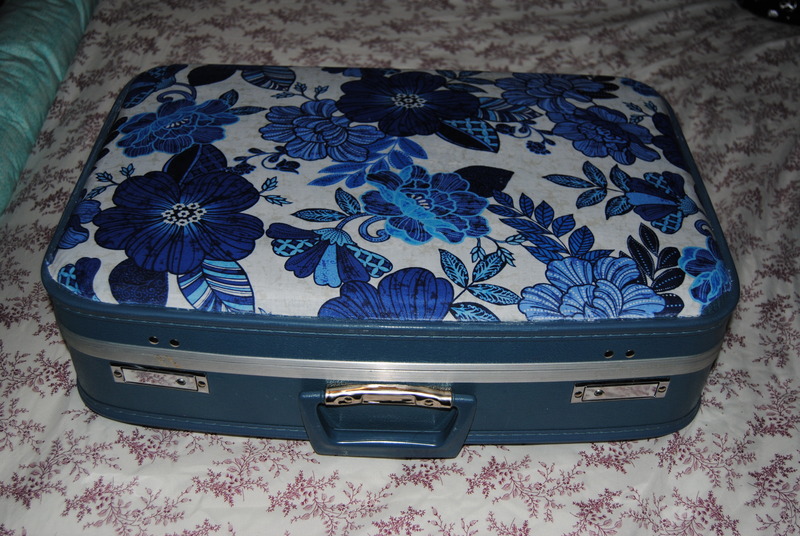 For my first suitcase decoupage, I decided to keep it simple. 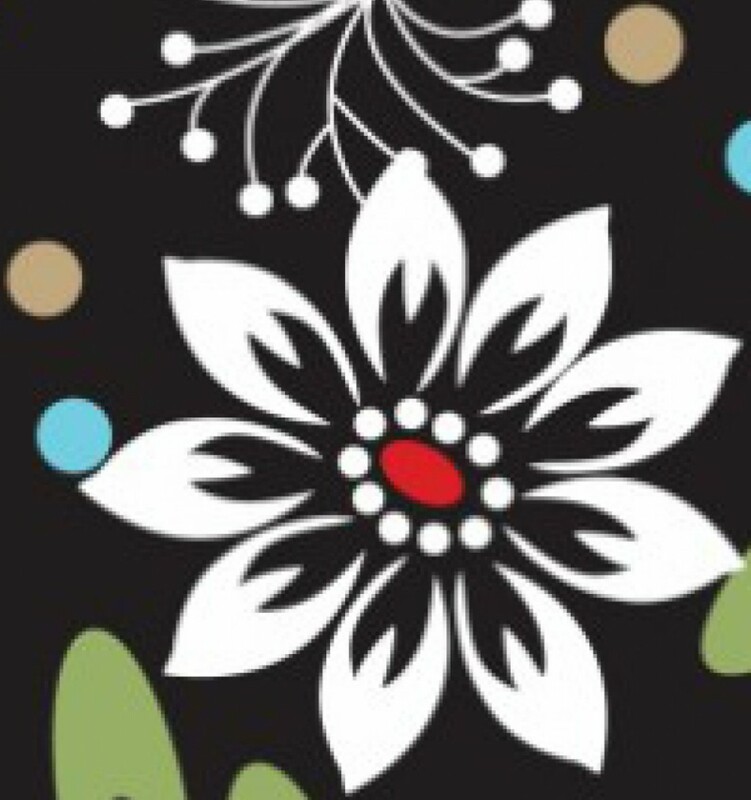 I purchased a yard of fabric from Joann Fabric. 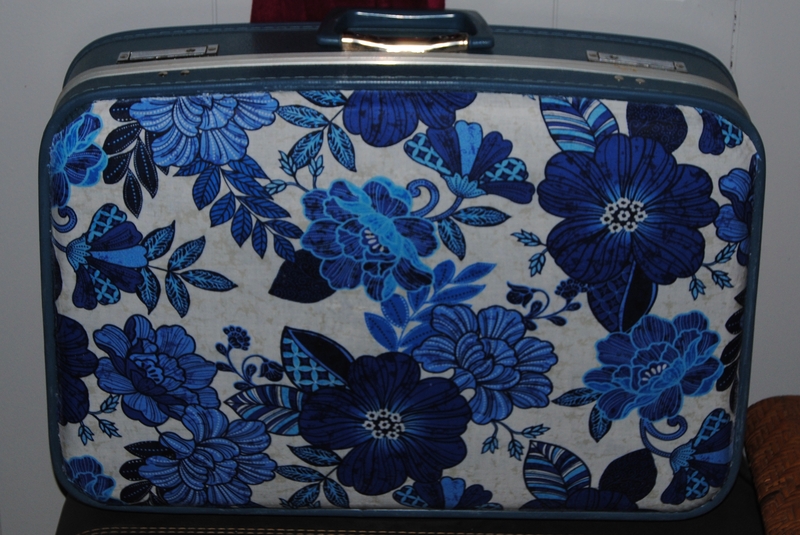 I searched for material that would blend with the color of the suitcase, and found a nice blue and white floral pattern. I cleaned the case to remove any dust or dirt. 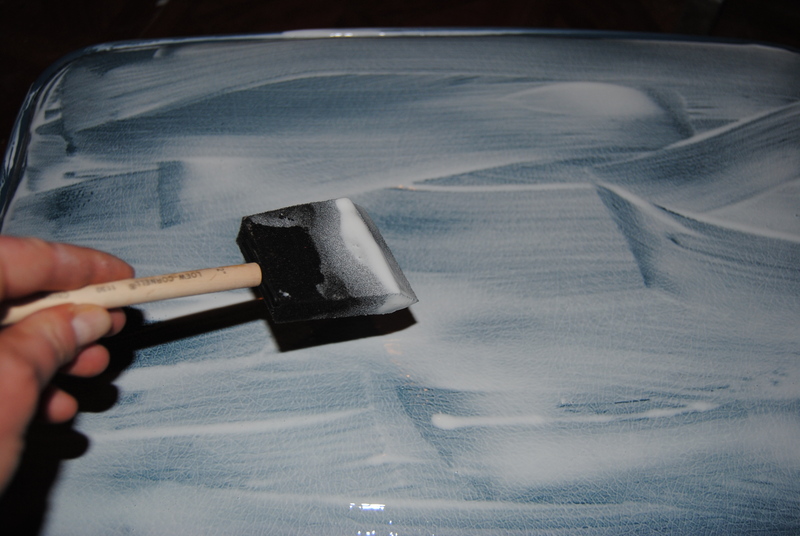 I generously applied Mod Podge with a foam craft brush. I carefully laid the fabric on glue, smoothing out any wrinkles or air bubbles with my hands along the way. 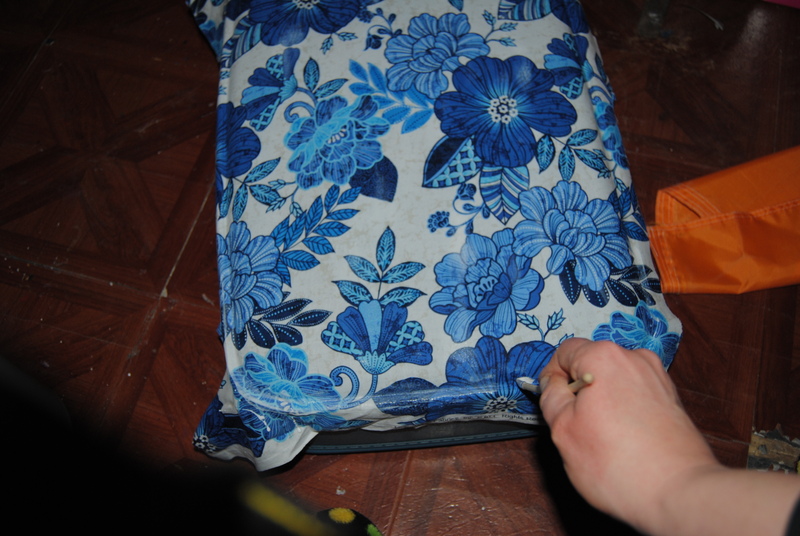 I carefully worked the fabric in the creases of the case, and covered the entire area with another layer of Mod Podge. Once dry, I trimmed any excess fabric with a box cutting knife applying minimal pressure using the natural crease of the suitcase as my guide. I added a 2nd coat of Mod Podge. I repeated the same process for the opposite side of the suitcase. Now, what to do with the other two? That is so, so pretty!!!!!! Is Mod Podge strong enough for the suitcase to survive a trip through the airport? This is a great way to individualise your suitcase so there is no confusion on the luggage carousels.